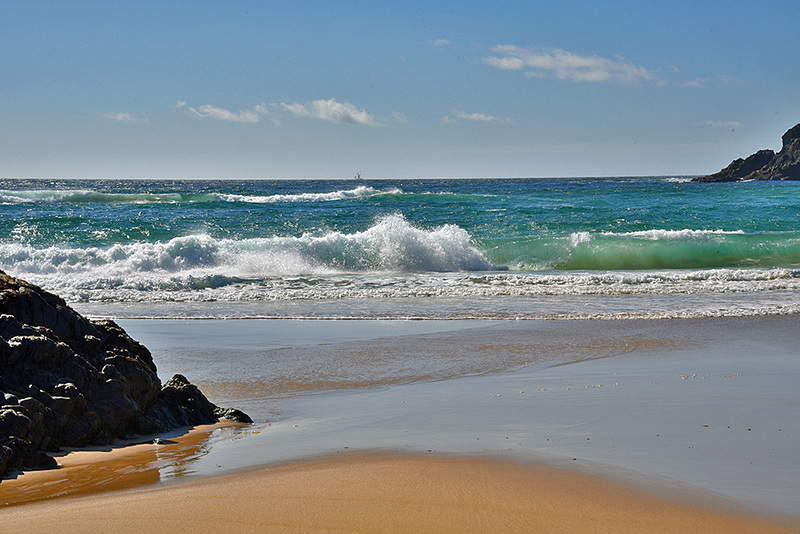 A beautiful sunny June afternoon in Lossit Bay on the west coast of Islay, waves running up on to the beach with it’s golden sand. If you’ll look closely you’ll also spot a sailing ship on the horizon, that’s the Flying Dutchman on her way to Bruichladdich. This entry was posted in Beaches, Landscape, New Post, Sunny Weather and tagged Flying Dutchman, Islay, Lossit Bay, Rhinns of Islay by Armin Grewe. Bookmark the permalink. Zelfde plek . foto van mij . maandag 26 oktober.